"Everything you trust. Everything you know. May be a lie...". 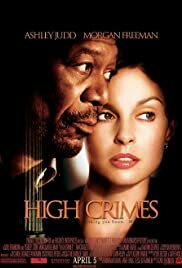 High powered lawyer Claire Kubik finds her world turned upside down when her husband, who she thought was Tom Kubik, is arrested and is revealed to be Ron Chapman. Chapman is on trial for a murder of Latin American villagers while he was in the Marines. Claire soon learns that to navigate the military justice system, she'll need help from the somewhat unconventional Charlie Grimes.